Stanford’s Thinline is a classic and a tribute to one of the most famous electric guitar models of all the time. 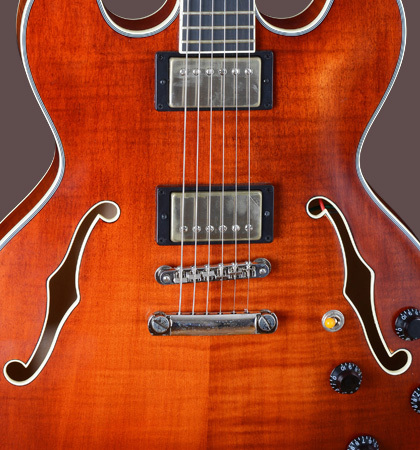 The interior of this guitar model is defined by a sustain block, which provides the characteristic sound of the Crossroad Thinline 35. 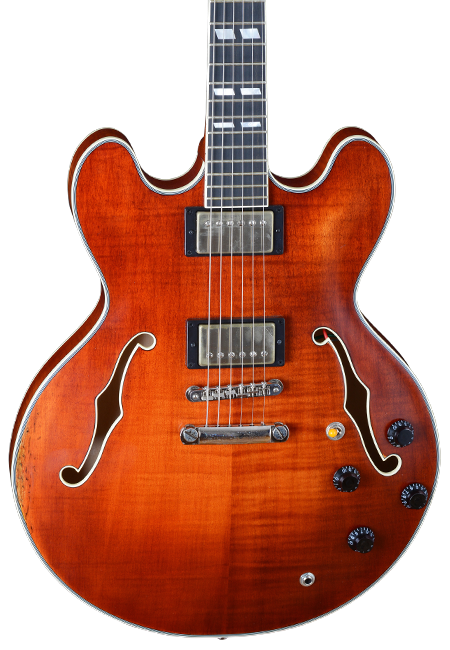 The combination of a Tune-o-matic Bridge, an Alu Stoptailpiece and two Stanford Classic 59 humbuckers with nickel-plated caps, delivers the full range of sounds expected from this Double Cutaway Thinline. 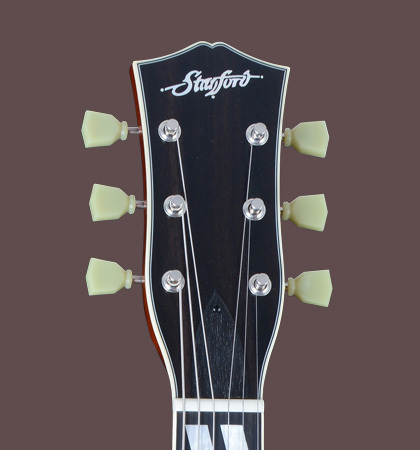 A fine and wafer-thin applied nitrocellulose finish makes the guitar swing very well, ensures a fast response and perfect sound. Larry Carlton, B.B. King, Eric Clapton, Alvin Lee, to name just a few famous names, loved and play this icon even today in their concerts. 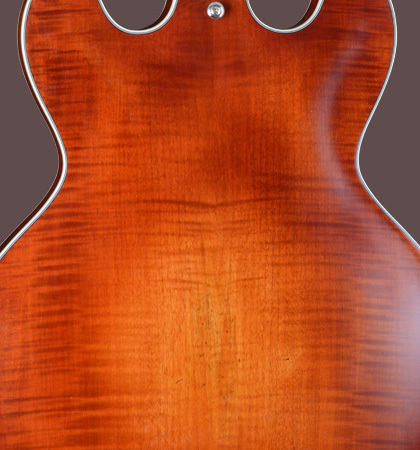 The Stanford Crossroad Thinline 35 will be delivered with a case.